Some years back I was shortlisted for a job and gave a seminar, doing my best to leave a good impression. In the questions following my talk, somebody asked if I think the process of science is one of discovery or one of invention. "Both," I said, leaving everyone in the audience, including myself, somewhat confused. In more detail, the question is the following. In the process of science, we accumulate knowledge. That's observations, that's applications, that's theories. But this knowledge, does it exist before we have made it our own and it is just up to us to discover it? Or is this knowledge genuinely new, and does only come into existence once we are thinking about and working with it? If one goes down this slope it can becomes somewhat slippery, and you might end up at the question whether all of science is a human construct, tainted by the biases of our consciousness and social effects (invention) - or if science in its essence, ideally, is pure and objective, without human baggage (discovery). You don't have to slide down the slope though, because going there neglects that either way we're doing our best to make science as useful for our purposes as possible, trying to reduce biases and social effects. Take for example quantum field theory. If you believe that mathematics has an existence independent of human consciousness, you would argue that quantum field theory existed before we knew of it, and we discovered and then used it. If you don't believe that Plato's world of ideas is real, then you'd instead call it an invention of the human mind. Or take some application like for example the LASER (that just celebrated its 50th birthday). Was the construction of such an instrument always a possibility that existed, and it was just discovered by humans? Or is it an invention, a possibility that only came into existence thanks to our ingenuity? This admittedly philosophical question, that is eventually one about the meaning of creativity, has a correspondence in the arts. In interviews, I've sometimes found painters or writers saying that the "idea" for their work was waiting for them, they were just the ones who brought it to paper or canvas, they are the discoverer and the medium to bring it into our attention, but not the inventor. Some even speak of a mental "place" that they visit to find their ideas, a place they apparently believe is not a creation of their own mind. Others however describe the creative process as entirely self-made, often including trial and error, many studies and improvements, the making of something genuinely novel that has never existed before, an invention. I, as many physicists I think, believe that reality exists independent from us. It is thus out there for us to discover. Reality doesn't care about the quirks of the human brain or or problems of our societies. So that would put me on the side of the discoverers. However, it is not that simple. Whatever we do, our discoveries are shaded by human perception. Whatever we observe, we observe it with human senses or human instruments. And the theories we write down, they are stories that humans tell which are meant to describe the real world, rather than actually being the real world. To illustrate that, let me recycle an image I used in my earlier post on Models and Theories, see left. You first need to discover. But once you measure it, once you write it down, and make it suitable for human use, you're creating an - necessarily imperfect - image, may that be a collection of data points or a theory. And that's the part of the process which is an invention. I would argue for example that while we have discovered quantum mechanical effects which exist somewhere in "the real world out there," the theory we have to explain them is a human construct, it's an invention. It uses variables and language that are specific to our species, it carries the history of particle-wave duality, it is suitable to describe the data that we have measured with our devices. An alien civilization might discover the same effects, but they might invent a different story to explain them, a theory that explains their data in possible entirely different ways. I don't even think that mathematics itself is free of human baggage, or that it will remain the best way to describe Nature if you could fast forward some hundred thousand years. We just think today it is because we cannot possibly imagine anything else that would work better. But I think we should always keep in mind the Principle of Finite Imagination: Human imagination has limits set by our cognitive abilities. Excluding a possibility because we cannot today imagine it neglects that time may bring significant changes to our cognition or species. I didn't get the job. I doubt it had anything to do with my inability to explain my reply to this particular question. But still, I wished I had been able to express myself better back then. Now it's your turn: Discovery or Invention? You can look at more submissions on this website. The topic of my PhD thesis was "Black Holes in Extra Dimensions: Properties and Detection." (IsMyThesisHotOrNot?!) I'm afraid a video wouldn't have properly captured extra dimensional dancing. I suppose I would have tried to represent collapse and subsequent radiation, increasing temperature, and a final decay with dancers coming together in the center of a room, and later leaving the scene again. More likely though, I wouldn't have spent time on this. I'm not really sure what to think of such efforts to bring science closer to the public. The above video about the superconductor, frankly, would have been equally instructive without the dancers. Most of the other videos, if you check them out, don't communicate more than a sentence or two of information about the thesis topic. Not so surprisingly - dancing is hardly a good way to get across complex science. 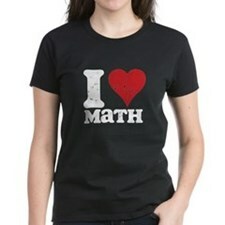 Love for mathematics divides people like nothing else. Sure, people can develop a fascination for the most bizarre things - knitting, collecting Hard-Rock-Cafe shirts, or photoshopping their wifes into shape - and leave others puzzled about their obsession. But when it comes to mathematics, indifference and puzzlement is replaced with plain rejection. There's those for who mathematics is the essence of everything, it's the language in which the book of Nature is written and the secrets of the universe are encoded in. And then there's those who believe that the lover of mathematics is narrow-minded, and that the world is so much more, so vastly more complex than what mathematics can possibly capture, that anybody who thinks incomprehensible, abstract symbols capture elementary truths must be seriously disturbed. And sure, people can argue furiously about politics or who has the best pizza in town, but in no case I can think of do you find a comparable utter lack of understanding for the other side than when it comes to the power of mathematics. The lack of understanding is probably so complete, one can't even argue about it. Over and over I have found people who reject the notion of mathematics being a universal language, and who discard it as insufficient for reality. They are dead wrong to do so of course, but since I've encountered this attitude over and over again, I want to dedicate some paragraphs to what I believe is the origin of this divide. At the very beginning is, of course, school education. Unfortunately, what's called mathematics in school has little to do with mathematics. It should more aptly be called calculation. Don't get me wrong, it is essential knowledge to be able to multiply fractions and calculate percentage rates, but it has about as much to do with mathematics as spreading your arms has with being a pilot. Problem is, that's about all most people ever get to know of mathematics. The actual heart of math however is not number crunching or solving quadratic equations, it's the abstraction, the development of an entirely self-referential, logically consistent language, detached from the burden of reality. Let me focus on an example that those of you with high school education will have met: vector spaces. A vector space is basically a set with elements that have a structure allowing for an operation called addition and a second operation that's multiplication with a scalar. These operations have to fulfill certain criteria which you can look up somewhere if you've forgotten, but it's not so relevant for the following. What's relevant is how abstract this notion of a vector space already is. The vector space really is that definition, and nothing else. And it's taught in school! Of course, at the time pupils come across a definition for a vector space most know examples already and have a mental picture. My math teacher used pens to visualize vectors. But nothing in the definition of a vectorspace tells you it ought to be three-dimensional, or the elements be coordinate-vectors (pens). Today it is natural for us to assign each variable its own axis in a generalized multidimensional space. But in the 1700s it was not natural. [...] Cayley in his 1843 paper titled "Chapters in the Analytical Geometry of (n) Dimensions" was the first to take the bold step of referring to a geometry of more than 3 dimensions. After that, the stage was set for the "invention" of multiple dimensions when Grassmann developed the concept of an n-dimensional vectorspace in 1844. The vector space that you've heard of in school is a result of many generations of abstractions. Yet, it is still an extremely special case of what the mathematician considers a "space." If you go out on the street and ask random passers-by what they associate with "space," you might hear office space, or the space they don't have in their living room after they bought the drum set for the eldest son. You might hear parking space, or the space between two letters in a sentence, or maybe outer space. That's the real world, and at first sight it seems indeed like a selection of complex and very different notions of space. But in fact all these spaces that you encounter in the real world are highly specific. They are three or lower-dimensional. They are to excellent precision flat. They come with a distance measure that allows you to tell if the new couch will fit next to the drum set. The general space in mathematics however may do away with all of these properties that we are so used to. Imagine an infinite dimensional space. Imagine one without distances. Imagine what it would be to try to park your car in one. In physics one does encounter more general spaces than the standard 3-dimensional vector space. The best known example is probably the Hilbertspace of quantum mechanics, which can easily be infinite dimensional. But also in physics, the realm that we deal with is only a tiny part of all that mathematics has to offer. The functions we deal with are typically nicely differentiable, so are the manifolds we put them on, blessing us with plenty of additional structure. The differential equations we have are typically not higher than 2nd order, spaces are hausdorffian and almost all of the pathological examples you come across in mathematics the physicist never has to bother with. This of course then brings one to the question, if the world of mathematics contains so much more, then where is it? Does it exist, somewhere, that space without distances, that module, that left-invariant subgroup? I have some sympathy for Tegmark's Mathematical Universe, which posits that all of mathematics must exist somehow, somewhere in the multiverse. My central objection to Tegmark's idea just is that it's not insightful and plain useless. If you've scrolled down to this last paragraph, shame on you. The point of all the words above was that during the history of science we have come to realize it is the world of mathematics that is vastly larger than what the real world has to offer, not the other way round. I have a confession to make. I've been unduly withholding information from you. But I think time has come to fill you in and I hope the following will clarify some things about my recent absence and brevity. During the last months, I've been more of a bumblebee than a bee: Yes, I'm pregnant! Here's a short summary of what was written between the lines. Late April, due to an overactive Icelandic volcano, Stefan and I had to take a 3000 km road trip from Sweden to Germany and back. Unlike other primates, humans belong to the category of "nonseasonal breeders." Nevertheless, for as long as there's birth statistics, 10-20% seasonal variations in human live births have been documented. Confusingly though, the seasonal peak has changed over decades and seems to depend on age and other demographic factors as well. So spare me the comments about spring feelings. For what humans are concerned, "spring feelings" is a cocktail. Briefly before my trip to Perimeter Institute in May, I got a positive result on the pregnancy test. Pregnacy tests are sensitive to the human chorionic gonadotrophin (hCG) hormone that is detectable after implantation of the fertilized egg. Modern pregnancy tests are amazing accurate. You can now also have them with a digital display and they provide estimates for the weeks after conception. They work up to 4 days before the missed period. In a few years, pregnancy tests will probably have a speech output and automatically submit the result to your twitter feed. I dubbed the little clump of rapidly dividing cells Epsilon. My stay at Perimeter Institute in May was mildly speaking scientifically not very productive. I started getting very sick briefly after my arrival. It's a miracle I managed to sit through the workshop on the Laws of Nature - and to even write a blogpost about it. My flight back to Stockholm was a nightmare. I spent 14 hours holding onto a sick bag, pressing a lemon scented face towel to my nose, trying to escape the food smell. Folk wisdom says nausea during early pregnancy is worse with girls and twins. A word on counting the pregnancy length. Historically, the length of the pregnancy is not counted from conception on (typically unknown), but from the first day of the last menstrual period. This is known as "gestational age" and used by all doctors, books, and most other references (with a few exceptions). The gestational age, which I'll also use in the following, is approximately two weeks longer than the actual age of the embryo, also known as "embryonic age." At about 7 weeks, the heart starts beating. Back in Stockholm, at about 8 weeks, I went to the first ultrasound exam. The doctor didn't speak English too well. "You know," he said, "you have twilights." - "I have what?" He turned the screen around and showed me the image (see left). "Twins!" I said. And so to Epsilon was added Delta. If you haven't seen an ultrasound image before, dark means little reflection (sonolucent). Here, the black ovals are basically liquid-filled: the amniotic sacs. In the lower one you see very nicely the umbilical cord. The embryos are about 18 mm (crown to rump). A twin pregnancy has advantages and disadvantages. There's a long list of possible additional complications with multiple pregnancies, which is why it's automatically considered a "high risk pregnancy." The advantage is the mother gets additional screenings to prevent these complications. Just in time for our summer workshop, the nausea finally started fading. Clothes started getting a little tight though, as an observant eye might have noticed on the conference photo. The average length of a human pregnancy is 40 weeks (gestational) and it's roughly divided into 3 trimesters, each bringing its own challenges. The first trimester ends at week 12, the second at week 27. From 9 weeks on, the embryo is called a fetus. The risk of miscarriage during the first trimester is very high, estimates range from one in 8 to one in 5 pregnancies that end by spontaneous abortion in that early stage. In the first 12 weeks, all the major organs are formed and working, though it takes several more months for them to mature - the last organ to fully mature is the lung. If anything goes wrong in the critical first steps, the embryo is not viable. Some reasons for miscarriage are known and are treatable, but by and large the doctors don't know much and can do even less at these stages. This is my second pregnancy. The first one ended in a miscarriage at 11 weeks. Of course I knew the statistics. But I didn't realize what it means till it happened to me and I suddenly learned how many people I knew had made the same experience before. At 14 weeks, I went to the second ultrasound. The doc found two placentas, which means it could be fraternal or idential twins, but more likely fraternal. In the ultrasound image to the left you see them lying on top of each other, both heads to the right. (I've blurred out some details in the header for privacy reasons.) Crown to rump length is about 8 cm. After that, Epsilon and Delta got too large to fit on a single ultrasound image. Then, the docs start measuring the sizes of single organs instead. The next ultrasound, "the big one" as they call it, is at 20 weeks. With this ultrasound, the fetus' organs are screened to detect possible problems. The outcome is some sort of risk assessment. In our case, the doctors didn't find any reason for concern. Kidneys and bladders were working properly. They did an ultrasound of the hearts, and measured the blood flow. They showed us the main arteries, the brains, the stomachs, the legs and hands. I was less impressed by the technique itself than by the resolution and, most of all, by what the doctor managed to read out of the pictures. We had this "big ultrasound" done in Germany (it has to be done by some particular week in case a severe problem calls for a late abortion), so Stefan could come and watch. The doctor told us Epsilon and Delta are two girls. Since then, Epsilon and Delta, and so my belly, have been steadily growing. The little ones are well and kicking (both me and each other), while I'm having some trouble coping with the adjustment. My sudden hospitalization some weeks ago was very likely related to the pregnancy, though the actual problem remained mysterious. Worse, only a week later I had the questionable honor to spend another night in a hospital, this time for a completely different reason. Again the doctors insisted on many tests but eventually found nothing in particular. The pregnancy bible tells me helpfully that I should be feeling great during the 2nd trimester. Well, so much about statistics. In any case, my employer is informed now, the wheels of bureaucracy are turning, and if everything works out alright I'll go on maternity leave mid of November. As you know, Stefan lives in Germany while I live in Sweden, so our situation is a little complicated. The health insurance issues are a big annoyance, and that's only part of the problem. Luckily though, both the Swedes and the Germans are very generous with parental leave, so we'll have some time to reorganize our lives. For now, Stefan is moving into a larger apartment while I'm enjoying the pleasantries of maternity wear. Last week, the CERN Book Fair give me the opportunity of a short trip back to CERN. I had been there a few times in 2000/2001, working with the Geant4 collaboration and contributing snippets of computer code to this huge simulation package, and I really enjoyed to visit CERN again, alas for a much too short stay. There is the dark dome of the CERN Globe looming in the background, and the blue thing on the lawn is a LHC magnet, but otherwise, not much has changed. Unfortunately, the beautiful terrace of the cafeteria was a construction site, and the dusty glass display with Tim Berners-Lee's original web server had vanished from the side wing of the restaurant. I remember that back then, I could stroll around a few of the older experimental halls, so I had the naive idea that I could try and find the famous hydrogen bottle that feeds the LHC. But of course, as the machine is running, there is no access to the accelerators: Defense d'Entrer/No Entry. Instead, I walked to the Computer Centre, where we had our temporary offices when collaborating with the Geant4 group. This machine is a server. DO NOT POWER IT DOWN !! Coming back to more recent times, Sabine told me of a talk she had heard just last week on ATLAS results, and of an ATLAS web page with plots and papers presented in talks during this summer. I did browse around a bit, and while I do not want to say anything about the physics discussed in the papers, I realized that they nearly all quote a Geant4 paper on which I am a coauthor. Great, I thought, that should boost the quotation statistics - and then I realized that I am a coauthor on a "Topcite 1000+" paper! You can find details on the nomination on Prof Bishop's blog. "For almost as long as there's been information technology, there have been arguments over whether it is possible to become addicted to it. One definition of behavioural addiction is a recurring compulsion to act in specific ways which may have detrimental impacts on the person's well-being - there are well catalogued examples of people's internet activity fitting that pattern. The idea of behavioural addiction is not universally accepted, however. Psychiatry's bible - the American Psychiatric Association's Diagnostic and Statistical Manual of Mental Disorders (DSM) - prefers the classification "impulse control disorder", differentiating the conditions from physical addictions, such as cocaine or alcohol addiction. The question of whether internet addiction should be included as a diagnosed condition in the next edition, DSM-V, is a hot debate right now. Some people, such as psychiatrist Jerald Block, based in Portland, Oregon, argue that internet addicts show behaviour consistent with other addictive disorders, such as excessive use, withdrawal and negative social impacts. Others, including Ronald Pies, at Tufts University School of Medicine in Boston, Massachusetts, argue there have been insufficient controlled studies of internet addiction to show that withdrawal symptoms are genuinely physiological. They suspect that the negative social effects attributed to excessive internet use may have other underlying causes, such as depression or obsessive compulsive disorder. Just because it's one of the more absurd stories I've read recently: A 75 year old German psychiatrist attempted to kiss his patient and claimed later it was supposed to be a "therapeutic kiss" meant as "shock therapy." The woman turned away fast enough so the attempt aimed at her lips landed on her cheek instead. Then she sued the doctor for sexual harassment. The psychiatrist had to pay a fine of EUR 3,500. If you don't know how to arrange your marathon training with your 80 hours/week office job, what you need is a treadputer. Zeitgeist! The deadline is September 30th. Note that you cannot nominate yourself. I sincerely believe that science, and theoretical physics in particular, needs young researchers who are a little crazy, who take a risk and do their own thing, even if it looks completely hopeless or insane for everybody else. I hope that this little price serves to document their efforts are not wasted, but appreciated. Monday morning, I woke up in the hospital with an IV-drip in one arm and a nurse taking my blood pressure on the other arm. Sunday, I was about to fly back to Stockholm. I hadn’t been feeling too great, but then I generally haven’t been feeling great lately. My blood pressure has been at the lower end of healthy since I was a teenager. It runs in the family. People like to tell me low blood pressure is good. I usually ask them to try to go to work when you can hardly stand upright, let alone speak. I would have classically fainted and dropped to the floor, except that the moment my circulatory system decided to shut down all non-essential functions I was on board of an airbus, seatbelt fastened, tray table securely stored. In fact, we were headed for the runway already. So there was no dropping. When I could see again through the black clouds, I was lying on several seats. Somebody was pushing an oxygen mask on my face, somebody else was taking blood pressure. They later told me it read 70 to 30. 150 people had to wait while I was carried back out of the plane. An ambulance brought me to the airport hospital. Several people poked holes into my arms before they found a vein to put me on an IV drip. They measured blood sugar; it came out to be low but still normal. Blood pressure went up some twenty points or so. I was told they’d keep me there for some hours and pump half a liter isotonic fluid into my blood stream, confident I’d be labeled “fit to fly” after this and be able to take the next flight to Stockholm. What happened instead was that my blood pressure hit bottom again. They put me on a glucose drip, back into the ambulance and brought me to the next hospital, suspecting inner bleeding or pulmonary embolism. I had hold onto my hand baggage, but my checked-in bag was meanwhile on the way to Stockholm. In the hospital, I was handed over to a doctor who took me off the glucose drip and did a few exams. She found nothing of concern, then poked more holes into my arms trying to take blood. Eventually she used a butterfly-needle (a tiny needle commonly used for children) and managed to extract some drops. Having done that, she went to get some forms to note down my medical history. The second she left the room, I got sick and my blood pressure plummeted again. They hastily put me back onto the drip, blood pressure down to 62 to 35, body temperature plummeted to 34C (93 F). “Centralized,” somebody mumbled, schemes in white coats around my bed. An internist pushed electrodes on my chest to take an EKG. They gave me some injection which remarkably enough raised the blood pressure within a matter of a minute back to 100 to 70. The EKG turned out to be normal. I had to stay for the night with blood pressure being monitored, not even allowed to go to the restroom without a nurse because they were afraid I might faint. Blood pressure finally stabilized around 90 to 50something. The blood picture came out with some minor aberrations; I was prescribed a stack of mineral pills. They asked me a lot of questions: Has this happened before? Did I not drink enough during the day? Maybe eaten something funny? Ever had problems with the thyroid glands? Afraid of flying? No to all of the above. I am still in the hospital. The last days, they’ve done numerous tests and collected a seemingly endless amount of numbers, notes and graphs in a large folder with my name on it. They checked my heart and lungs and found nothing of concern. I am sharing the room with a women who is here for hypertension – her blood pressure is more than twice as high as mine. After 3 days, I asked the nurse if there’s any internet connection available in the building. She stared at me in disbelieve. “Internet?” she asked, as if nobody had ever dared before to have such an outlandish question. Luckily I have my BlackBerry with me. Stefan, who came to bring me clothes and sweets, told me the main entrance is cluttered with signs prohibiting cell phone use. Well, I said, I didn’t come in through the main entrance and nobody told me. After 4 days I sneaked out of the hospital with an IV needle on my arm and a device on my chest recording the heart rate, and bought an USB internet stick. (Thanks to Phil for the suggestion!) So here I am again, hitting “mark all as read” on my Google reader which announced 1000+ unread items. Reason I’m telling you this is that last night, listening to my roommate snoring, I decided I’ll put this blog on a break. I feel like I need some time to find equilibrium. As you probably know, I live alone in Stockholm and of course I’m wondering what might have happened had I not been around people. While it’s a relieve the docs didn’t find a serious problem, not knowing why it happened means to me it can happen again. Comments on this blog will remain open, and I encourage you to have a look at our archives, but you might not hear much from me for a while. I hope you understand. I’ll be back.